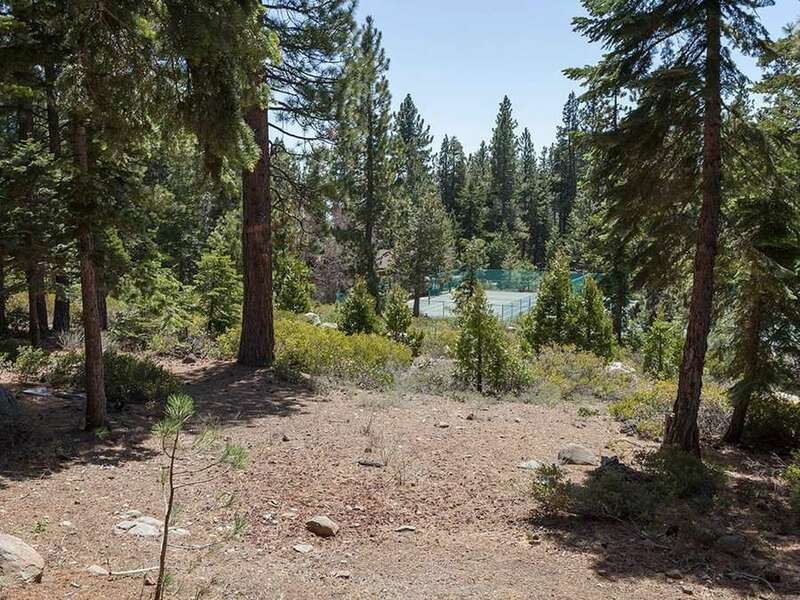 Shared Pool and Private BeachThe Northshore Townhouse complex is located within 2 miles of Tahoe City on the shores of Lake Tahoe. The homeowner amenities include one of the most beautiful white sand beaches on the North Shore, a great pool and tennis courts. 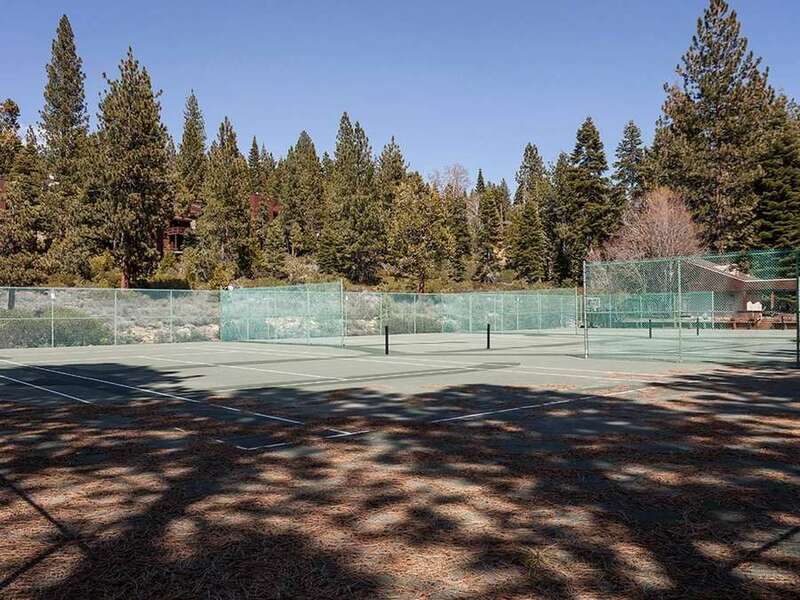 This wonderful vacation rental is a short distance to the beach, pool and tennis courts and is beautifully equipped. 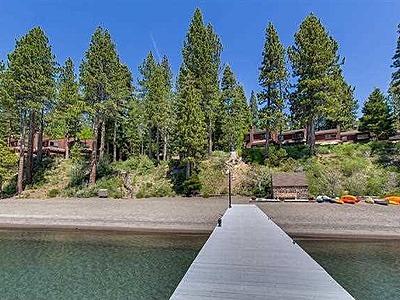 The Northshore Townhouse complex is located within 2 miles of Tahoe City on the shores of Lake Tahoe. The homeowner amenities include one of the most beautiful white sand beaches on the North Shore, a great pool and tennis courts. 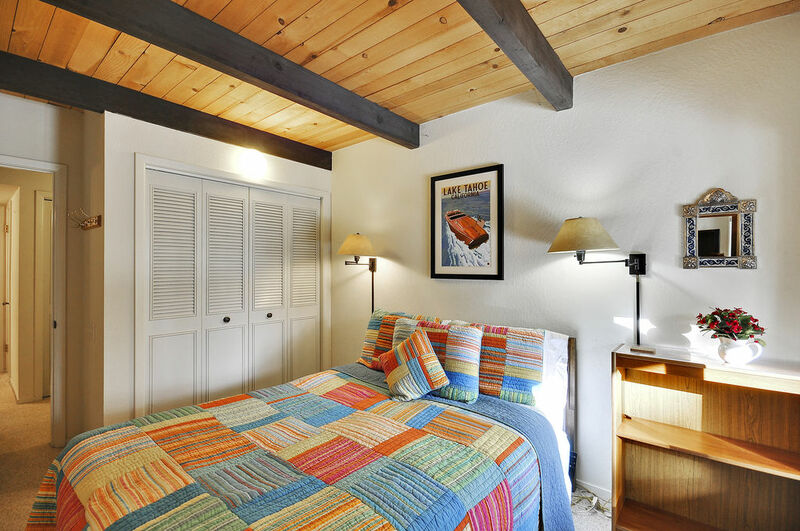 This wonderful vacation rental is a short distance to the beach, pool and tennis courts and is beautifully equipped. 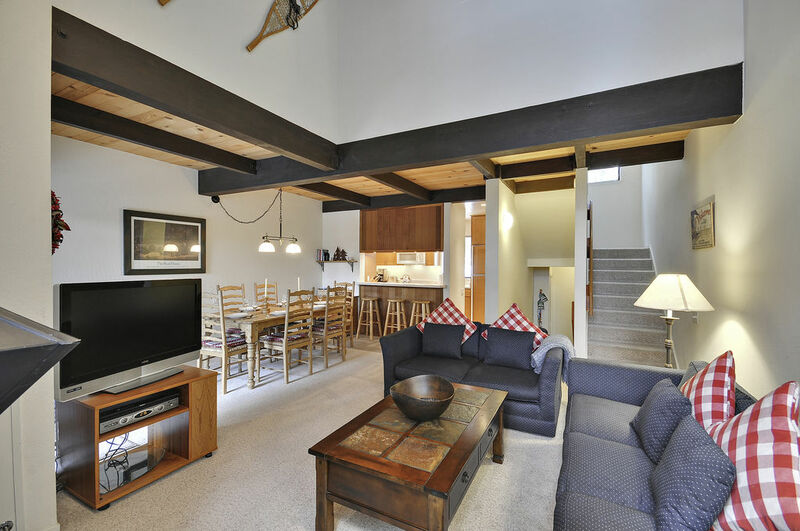 The townhouse is well laid out with the main floor having a comfortable living area with a lovely sunny deck with outdoor furniture and a plumbed BBQ. 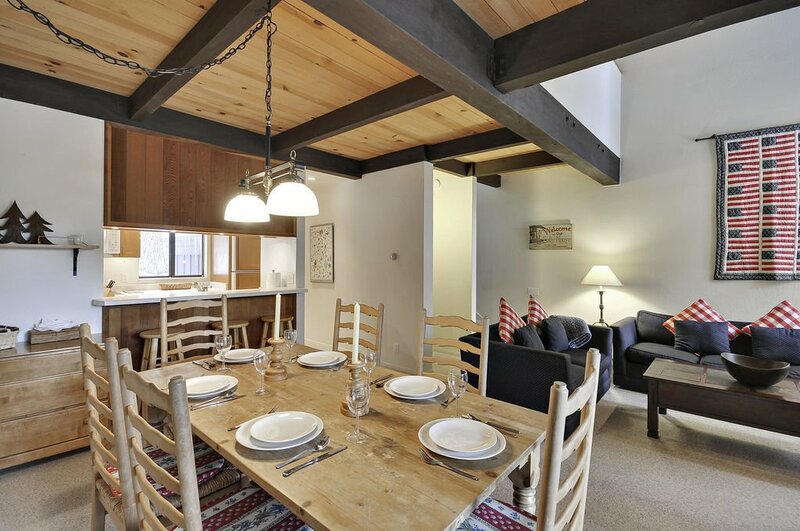 The main floor has a large dining table and a kitchen equipped for making great dinners to share with family and friends. 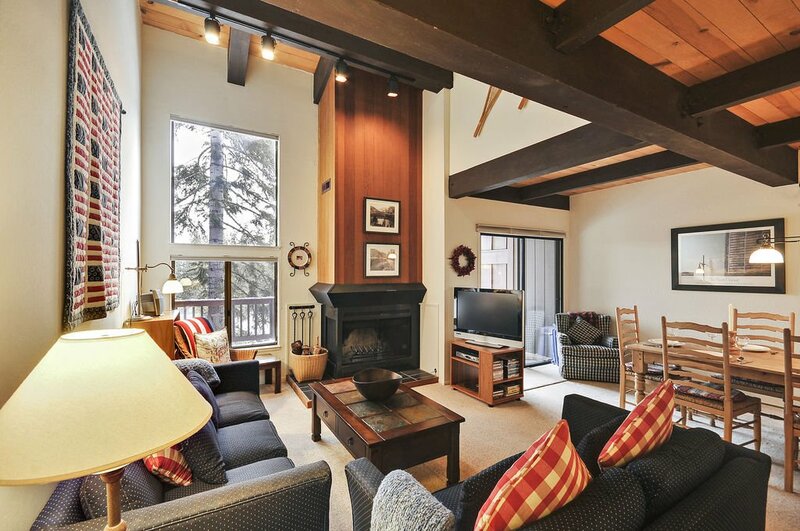 This Townhouse complex is one of the most sought after on the North Shore. In winter you will love the cozy open fireplace. 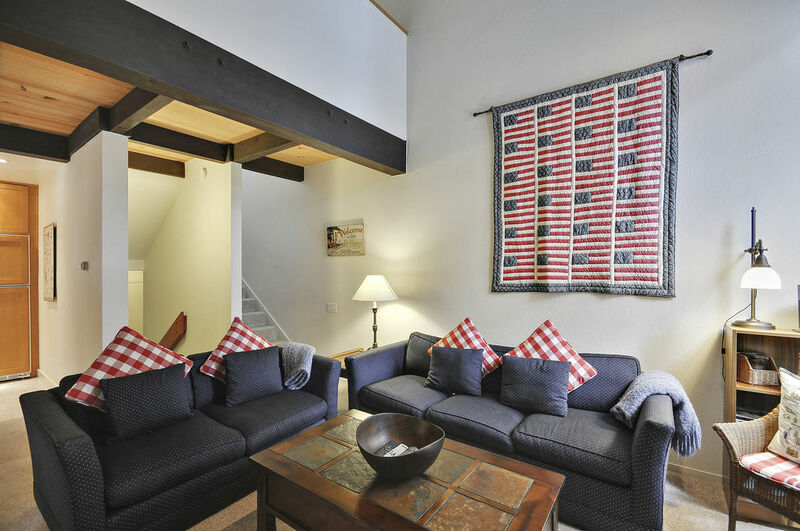 The living room also has a large flat screen HD television with cable and DVD player. 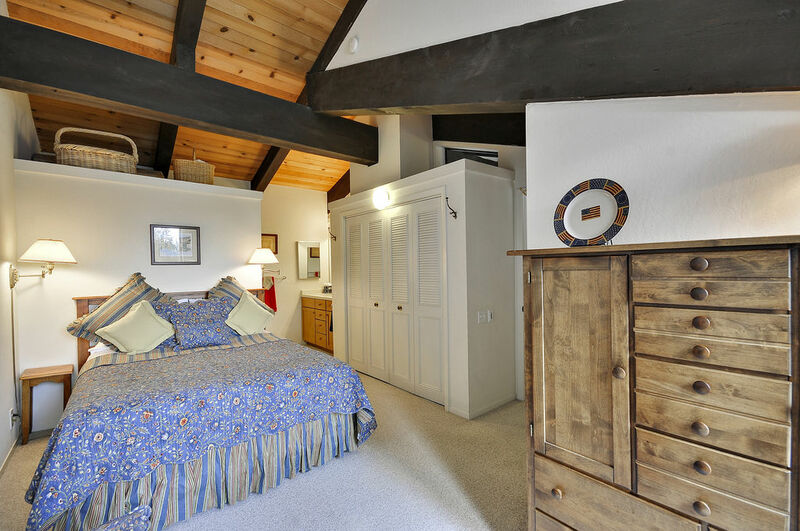 Upstairs in the large master bedroom is a Queen bed, a sitting area, and a master bathroom. 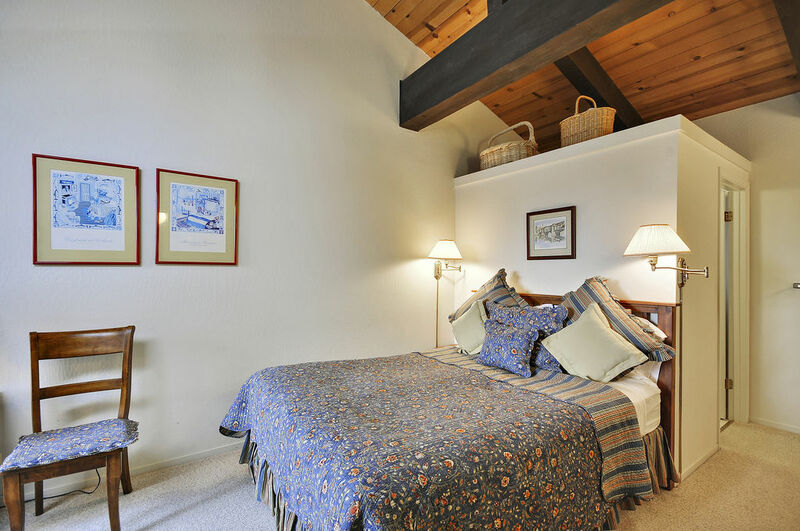 Downstairs there are two more bedrooms each with a queen bed and a second bathroom. One of the bedrooms also has a TV with DVD and cable. There is also a fold out queen bed in the living room. We rented this condo for a week surrounding a friends wedding. 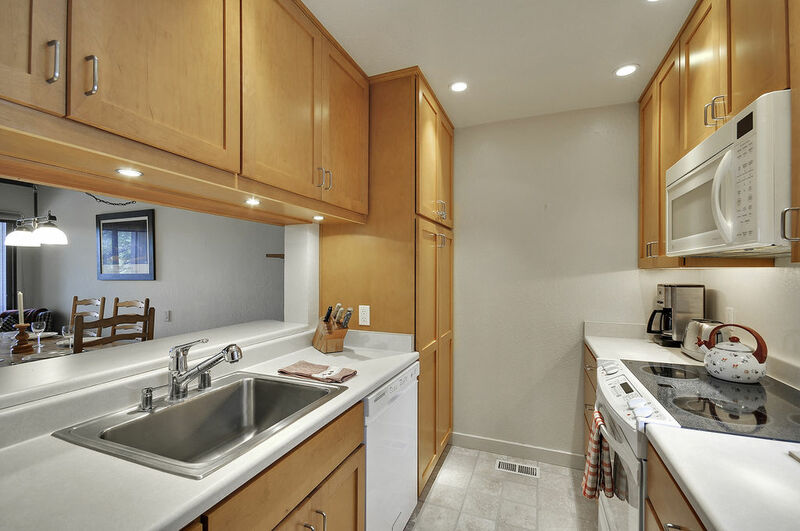 The condo was clean and well furnished, your typical 3-story townhouse. Since we were sharing with friends and family, this worked out since there were a couple of layers and separate bathrooms. We did have to call management to do a rapid cleaning as the previous occupiers had left a mess. But I must say they handled it promptly and we were all set. 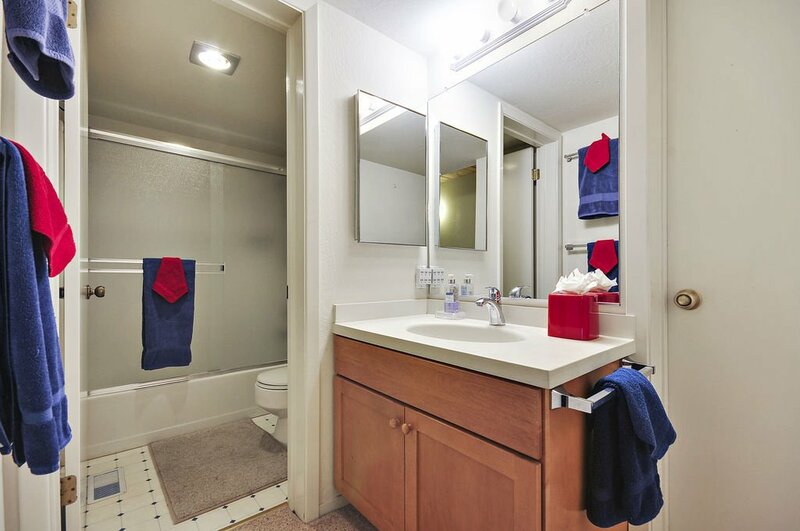 The best part of this condo's features is the private lake access. We brought a couple of kayaks and we could lock them by the lake and get to them any time. It wasn't much of a walk at all down from the unit. That was a tremendous convenience. The guy running the beach was very nice and helpful as well. 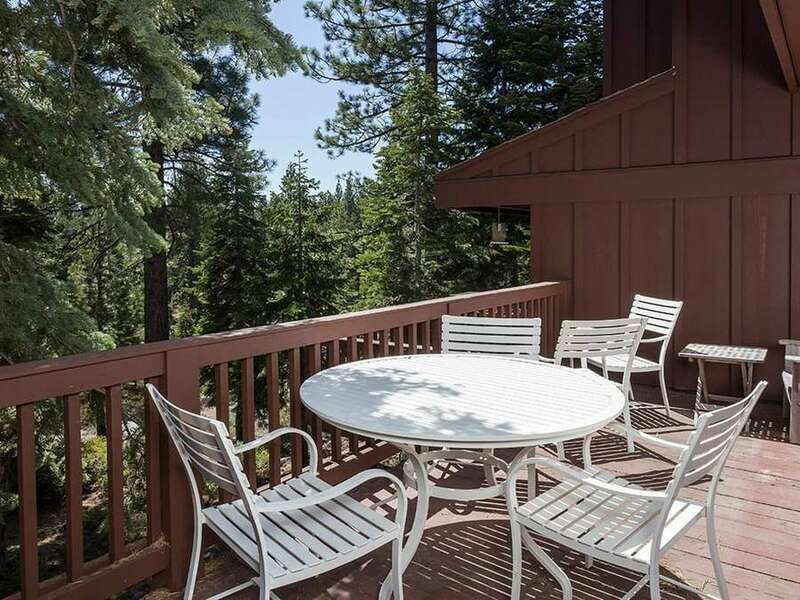 Town - Tahoe City - is a short drive away. Beware traffic jams on weekends, get in and out early. There is a nice bakery walking distance for coffee. 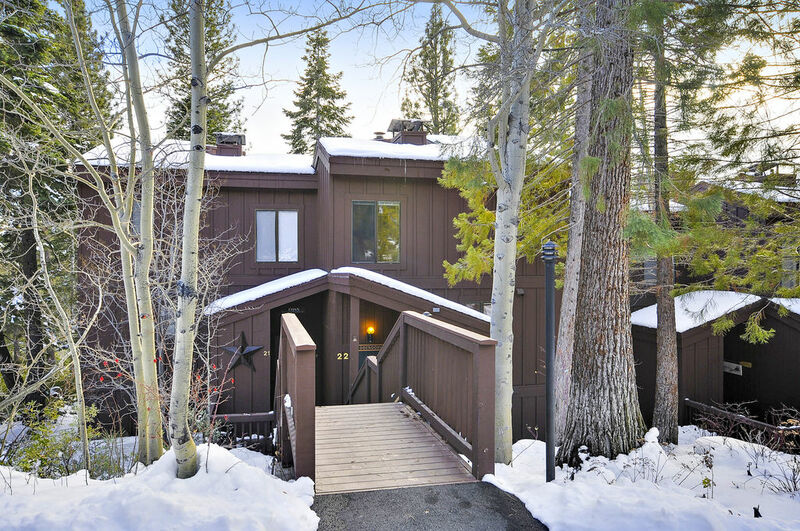 This house was perfect for our family stay in Lake Tahoe. 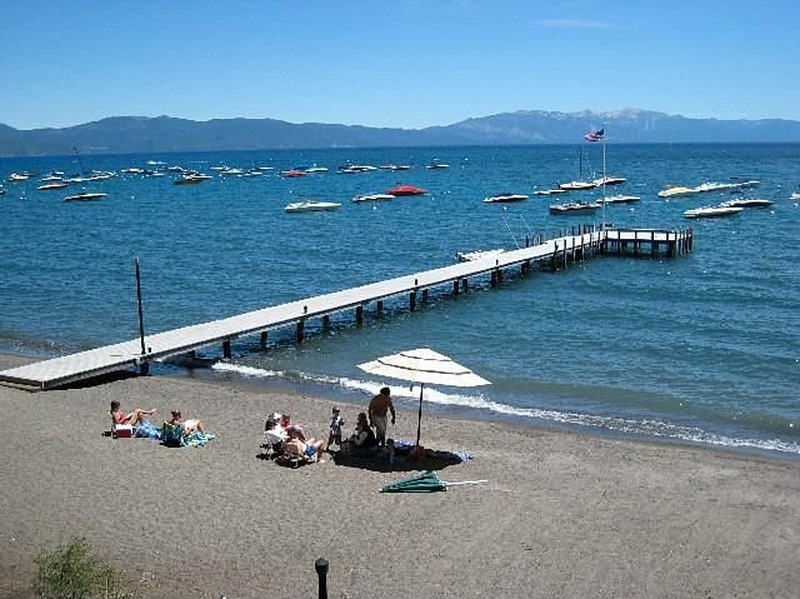 Close to the beach, town and tons of fun activities. Great location and perfect house. Will definitely stay again.